I've only had one dose of the measles vaccine. What should I do? A Canadian mining firm says it will begin exploration work soon on land that was previously part of the Grand Staircase-Escalante National Monument in Utah. A Canadian mining firm says it will move forward with plans to mine minerals from land that was previously part of the Grand Staircase-Escalante National Monument in Utah. Last December, President Trump removed nearly half of the Grand Staircase-Escalante from protection, as well as part of the Bears Ears National Monument, which is also in Utah. The move was the largest reversal of national monument protections in U.S. history. Glacier Lake Resources Inc., a Vancouver-based copper and silver mining firm, says it has acquired the Colt Mesa deposit, an approximately 200-acre parcel of land located about 35 miles southeast of Boulder, Utah. Because it was nationally protected, the area was previously off limits to development and mining. In a press release the company noted that the deposit "recently became open for staking and exploration after a 21 year period moratorium." Saf Dhillon, president and CEO of Glacier Lake Resources, called the project "a welcome addition to the company's ever growing portfolio." The company's extraction of resources would have little impact on tourism and the environment, Dhillon told the HuffPost, "The target is a high value, underground scenario with modest disturbance." Glacier Lake Resources says it has conducted sampling that confirmed the presence of several minerals, including cobalt. 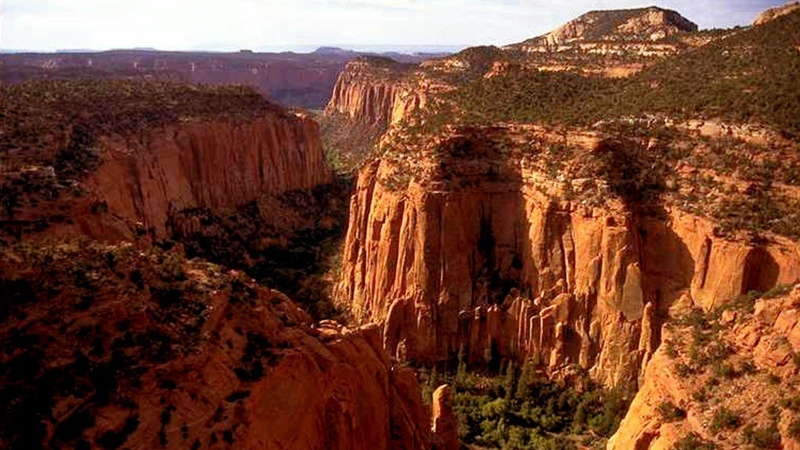 President Bill Clinton established the Grand Staircase-Escalante National Monument in 1996. It was previously the largest national monument in the country. President Trump has also slashed the Bears Ears National Monument by about a million acres — to roughly 15 percent of its original size. These actions followed an executive order Trump issued in April 2017, when he instructed Interior Secretary Ryan Zinke to review any national monument created since 1996. Trump said the review would return control of the land "to the people, the people of all of the states, the people of the United States." After Trump announced that he was reducing the size of the national monuments in Utah, Native American tribes, scientists, and conservationists immediately filed lawsuits against the administration, arguing that only Congress has that power. "Mining is prohibited in the Grand Staircase-Escalante National Monument and any mining claims are invalid, just like President Trump's attempt to dismantle the monument, which we are already challenging in court. This company's actions, and any others that try to mine within monument boundaries, will be scrutinized. We are monitoring this situation and will not stand by and watch mining companies rush to leave irreplaceable scars and damage the natural values of these lands. For those who doubt the intended beneficiaries of the attack on our national monuments, we now have some more evidence of the real reason the administration is trying to sacrifice our public lands." To obtain mining rights for land in the U.S., prospectors have to follow a mining law which dates back to 1872. Glacier Lake Resources said it plans to start surface exploration this summer and drill permitting "will be initiated shortly." The best SoCal news in your inbox, daily. Sign up to get KPCC's Short List newsletter. KPCC's coverage is a Southern California resource provided by member-supported public radio. We can't do it without you. Your contributions power KPCC. Give today. Support the voices you trust. Donate now.